Exactly solvable models, that is, models with explicitly and completely diagonalizable Hamiltonians are too few in number and insufficiently diverse to meet the requirements of modern quantum physics. Quasi-exactly solvable (QES) models (whose Hamiltonians admit an explicit diagonalization only for some limited segments of the spectrum) provide a practical way forward. Although QES models are a recent discovery, the results are already numerous. 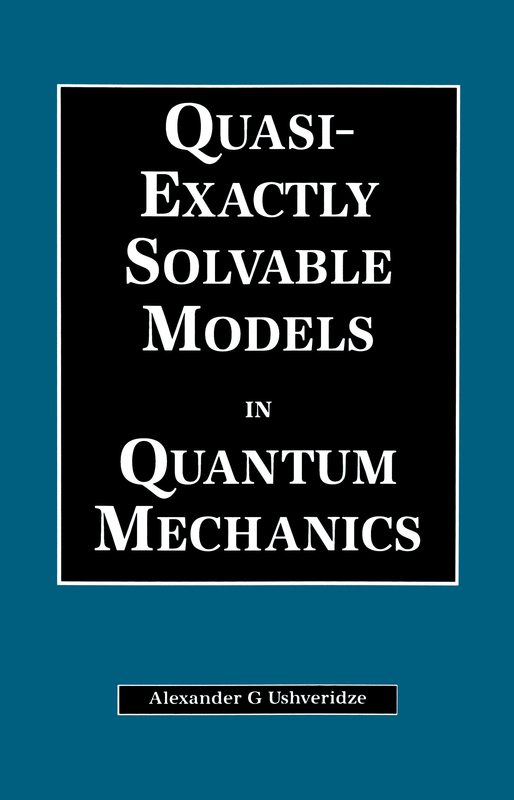 Collecting the results of QES models in a unified and accessible form, Quasi-Exactly Solvable Models in Quantum Mechanics provides an invaluable resource for physicists using quantum mechanics and applied mathematicians dealing with linear differential equations. By generalizing from one-dimensional QES models, the expert author constructs the general theory of QES problems in quantum mechanics. He describes the connections between QES models and completely integrable theories of magnetic chains, determines the spectra of QES Schrödinger equations using the Bethe-Iansatz solution of the Gaudin model, discusses hidden symmetry properties of QES Hamiltonians, and explains various Lie algebraic and analytic approaches to the problem of quasi-exact solubility in quantum mechanics. Because the applications of QES models are very wide, such as, for investigating non-perturbative phenomena or as a good approximation to exactly non-solvable problems, researchers in quantum mechanics-related fields cannot afford to be unaware of the possibilities of QES models. Quasi-exact solvability. What does that mean?